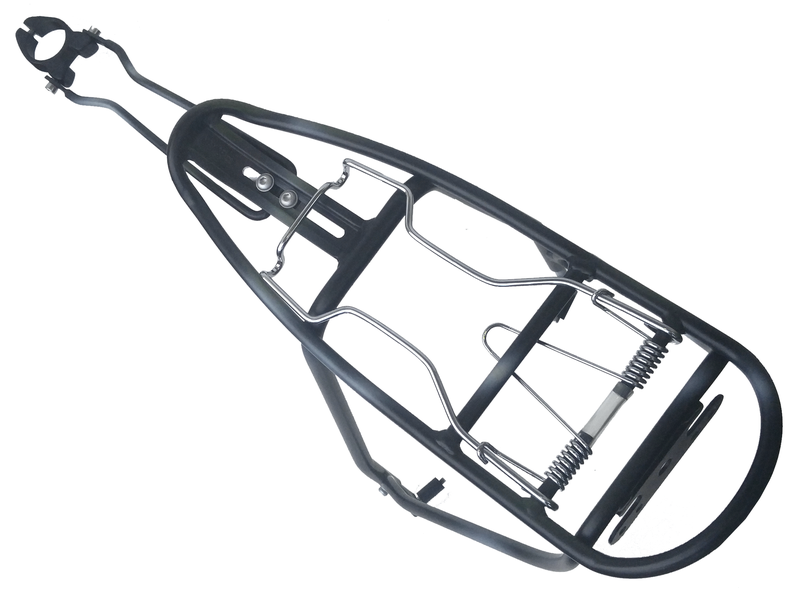 Spring-Loaded rear bike rack made for Fat Tire Bikes holds up to 150 lbs in weight! Comes with a 31.8 mm seat post clamp mount to allow for easy mount on our bikes or most any fat tire bike. Available in camouflage or matte black.